I was shocked at how much I enjoyed this Hamburger Quiche. I had a friend over when I was making it and we both couldn’t stop eating it. I was going to give her the leftovers, but ended up keeping them for myself. I’m usually not that greedy and love to share, but this easy quiche recipe was one I couldn’t stop thinking about! It may look like your regular run-of-the-mill quiche. 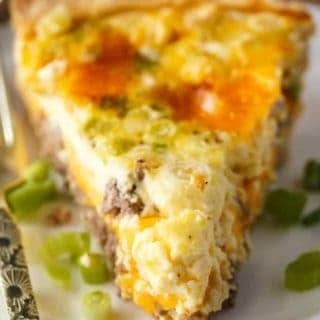 Eggs, cheese in a pastry crust. However, it has a “secret” ingredient that adds such a wonderful creaminess to the filling. Mayonnaise. All I know is that I’m adding mayonnaise to my quiche recipes from now on. Seriously, try it! It’s creamy, cheesy and hearty. I couldn’t eat just one piece. I had to have two and so did my friend. To save time, use a ready-made pie shell that you bake yourself. 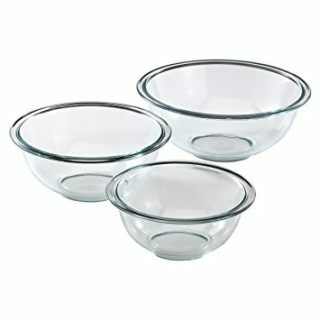 I’m lazy so I often use them in my recipes. If you prefer your own homemade crust, use your favourite recipe and kudos to you! I also drained the ground beef after I cooked it so it wasn’t too greasy. I like to use lean ground beef in my recipes. To start, spread the ground beef on the bottom of the unbaked pie shell. Then add the cheddar cheese, green onions and a dash of pepper. 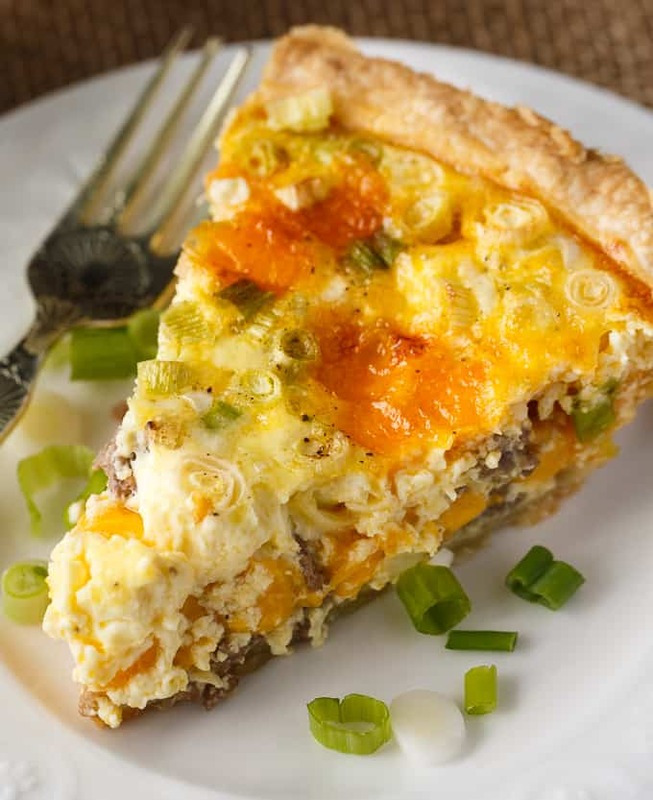 Stir the mayonnaise, milk, eggs and cornstarch together in a bowl and pour into the pie shell. It bakes for 35 minutes at 400F. Enjoy it fresh from the oven. 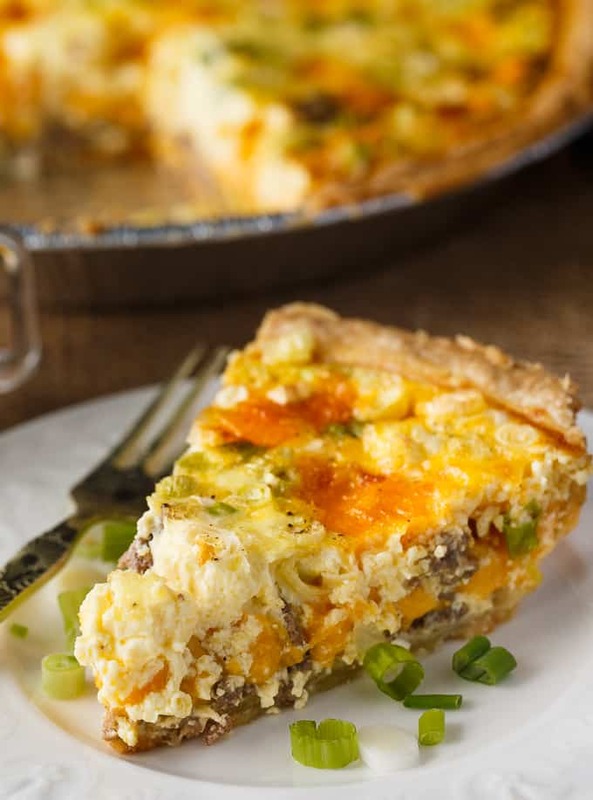 Serve Hamburger Quiche for brunch or lunch with friends. I guarantee it will impress! It pairs nicely with a side tossed salad or soup. For more quiche recipes, check out my Bacon, Spinach & Mushroom Crustless Quiche, Bacon and Potato Quiche and Slow Cooker Spinach & Feta Quiche. Creamy, cheesy and so delicious! This easy brunch recipe is made with a secret ingredient you might not expect to find. 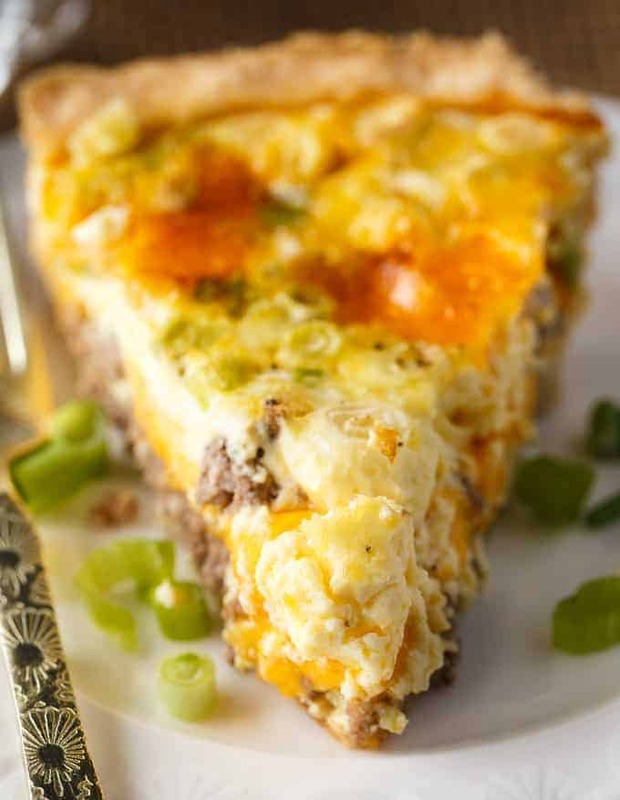 Spread ground beef in pie shell followed by cheddar cheese, green onions and dash of pepper. In a bowl, stir together mayonnaise, milk, eggs and cornstarch. Pour egg mixture over ingredients in pie shell. 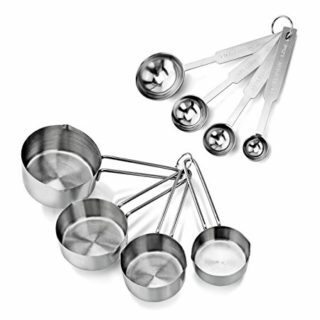 Bake for 35 minutes or until a knife inserted in the centre comes out clean. Serve hot. i definitely would love to try this. I’m intrigued and can only imagine how creamy this quiche is… I have never used mayonnaise in my cooking – just exclusively on sandwiches and as dips! Does that ever look amazing !! I am definitely trying this, can’t wait . My fiancé is going to love it . Thanks for sharing the recipe . This is a quiche that you just can’t go wrong with! My family would devour this!! I’ve never made quiche before because I was a little intimidated but I like your recipe and the picture really shows how great it can be. This looks yummy….and easy to prepare. I’ve save this one…and printed out to make real soon. This will be our weekend breakie if hubs likes it and also can make on a week night for a quick meal… with tater tots etc. I will try this even though the idea of combining hamburger and eggs makes me leery. Yummy! 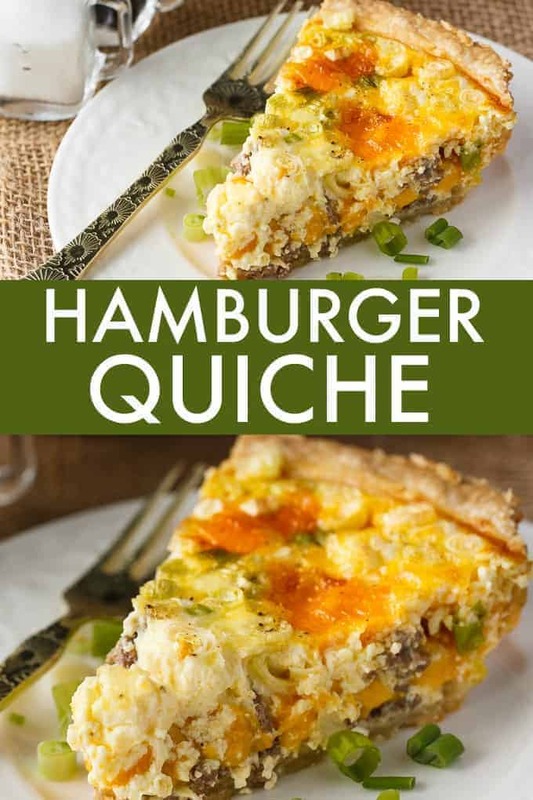 I have never thought to put hamburger in a quiche before, but this looks so good! Thank you for the recipe. What a great idea! I don’t make quiche often but this would be a delicious treat! We love quiche. I usually use ham in mine so this was a nice change. After all, variety is the spice of life – right!?! Pinned. Thank you for sharing on A Round Tuit. I make quiche all the time but I have never tried adding mayonnaise to it. This looks delicious! Pinned. This recipe looks delicious and simple to make. 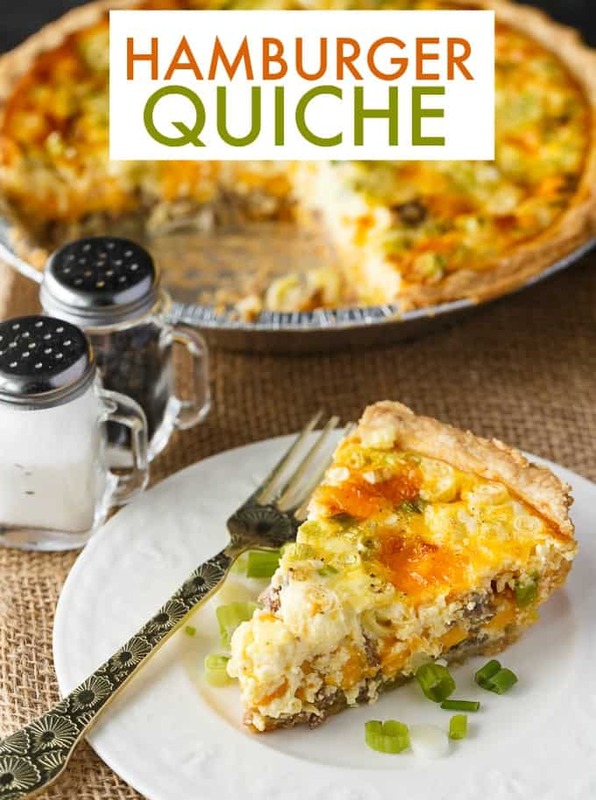 I love quiche and keep making it with either ham or bacon, so this will be a refreshing twist on the recipe.Itsounds delicious. This sounds like a great variation on quiche and mayonnaise, who knew. It looks very tasty. I wonder if it would work as a crustless quiche. This quiche looks amazing. Hope you stop by Thursday Favorite Things since you were featured. A friend of mine gave me this recipe over 33 years ago. I would make it often when the children were small and I worked full time, it was a quick and delicious meal with a salad on the side for a busy household. My granddaughter who is now a full time University student and living away from home, asked for the recipe. I couldn’t find it , but found yours! Thank you, it is identical to the one I used to make. 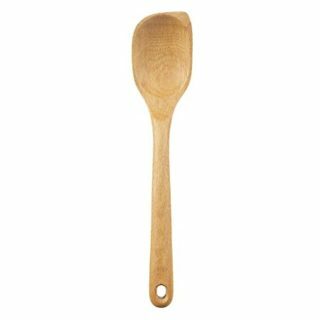 I also used to add diced green pepper and sliced mushrooms in mine for variation. And this freezes beautifully by the way! Yours looks delicious! I’m glad you found it again!